Parking.com offers discount parking near the Tribeca Cinemas. Click on a location name for parking details and an available discount coupon. Coupon must be presented at time of exit in order to redeem discount. Please print and bring one with you to the parking location. 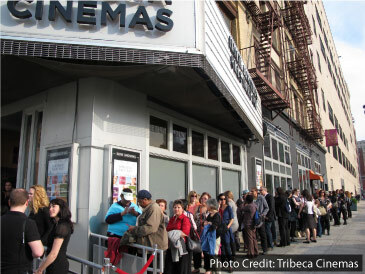 Tribeca Cinemas is a popular multiroom theater located in Downtown Manhattan which hosts film screenings, and receptions and events of all sorts.